I have been playing around with my Korg Volcas for a while now and I think they are really great. I thoroughly enjoy the immediate, “hands-on” music making experience I get from a small table-top setup. I still use Ableton Live for mixing and effects though, which is less than ideal. What I really want is to bypass the computer all together – no DAW, only “real”, tactile gear. I see a lot of people on YouTube using small 4 way mono mixers, perhaps with a stomp box or two, but I find that approach a bit too simplistic for my needs. With only a few sound sources to work with I think it is really important to have something interesting going on in the stereo field, at least for the type of “down tempo” music that I like to make. I also need a good selection of delay, reverb and chorus type effects to create ambience and interesting textures. I have been looking at the Eventide and Strymon guitar pedals which sound fantastic and would probably work great for me. Unfortunately they are also pretty expensive, and I have not been able to find a small form factor stereo mixer that suits my needs. So, I started looking around for schematics online, thinking that I might build this stuff myself. The mixer is pretty straight forward, since what I want is really just 5-6 stereo channels with volume controls, a master volume control and nothing else. There are also a ton of DIY guitar pedal designs out there which could be adapted for my needs – this will require a bit of work though. Guitar pedals tend to work best on stuff that occupy the mid-range frequencies (such as… guitars) and almost all the DIY designs out there are mono only. Being powered by 9V DC most guitar pedals handle -10 dBv signals just fine (such as those from the Volcas) but impedance can be an issue, especially on the outputs. Some of the more interesting and best sounding guitar pedal designs I have found are based on old school analog “brigade bucket delays” commonly referred to as BBDs. Most of these chips are out of production and horribly expensive but I found one company that still manufacture BBD chips and sell them at reasonable prices. I have done the math and figure I should be able to make at least 3-4 true analog stereo reverb/delay/chorus type effects for the price of a single Eventide/Strymon box. Plus I get to build them myself, which is fun, interesting and infinitely more satisfying than just forking over your hard earned cash to buy the same stuff as everyone else. I have already done some work on the mixer and a couple of effects and will be posting about this soon, so stay tuned! When I first started programming micro-processors in C, I felt like I had stepped into a time machine that took me back to my early teenage years where I spent long nights learning how to write simple programs on the C64. But alas, after a few nostalgic programming sessions I found myself falling out of love with of procedures, modules and global variables all over again and started looking for ways to apply some of the things I have learned about software development over the last 30 years or so. Figuring out how to use basic C++ for embedded development helped me leap about ten years ahead in time to my early twenties, where I started learning about object oriented programming in Java. But I still found micro-controller development to be slow, messy and error prone and I missed the rigour and predictability I have achieved in my programming in recent years by applying TDD. So I started looking for information on how to write unit tests for micro-controller code and quickly came across James W. Greenings book “Test-Driven Development for Embedded C”, which convinced me I was on to something. Although the book is choke full of good information, it is pretty sketchy on how to set up a development environment for embedded TDD, as is the documentation for CppUTest — the authors C/C++ unit testing framework of choice. And since I have never done much C/C++ development and have no prior experience with GCC, it took me a while to figure out how to set up a decent development environment on my Windows 7 PC. I set up the environment for the Arduino because I am working on an project for this board at the moment. However, the unit testing tool chain is completely independent from the Arduino tool chain, so it should be a simple matter to adapt this setup to other boards and micro-controllers. 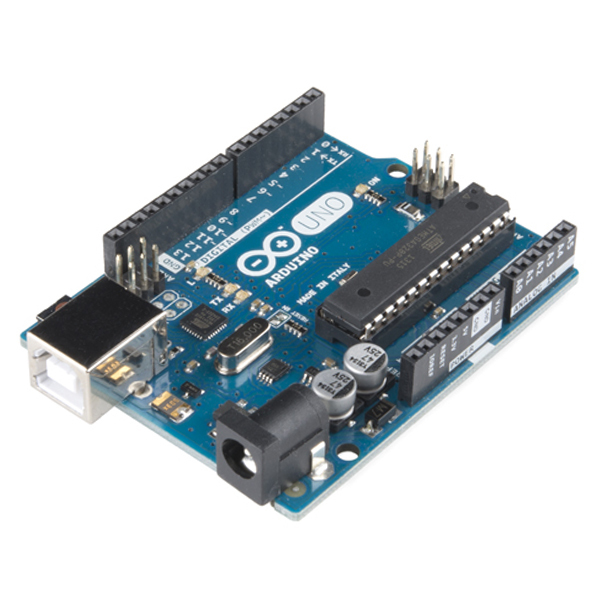 If you already have a good text editor for Arduino development, you can skip this step. However, if you are still using the standard Arduino editor, I strongly recommend that you give Sublime Text a try. You should now see an Arduino menu in Sublime Text. When the sketch has finished uploading, you should see a Hello world! message in the serial monitor. It is possible to use CppUTest with a number of tool chains but the simplest solution is probably to use Cygwin. And that all there is to it. Now go write some tests for your Arduino projects! 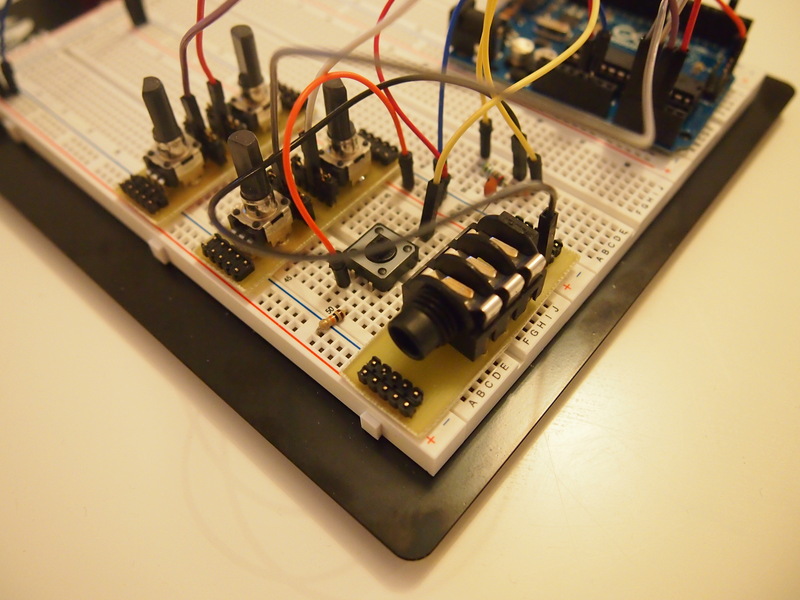 I have been prototyping a drum machine on breadboards lately and found it difficult to make some components sit well in the boards, especially potentiometers and jack sockets. Although I had carefully selected components that would fit in a breadboard, I was experiencing annoying issues with unreliable connections. I even had components falling out of the boards when I was moving them around (I am the proud father of a very curious 2-year old boy and need to store my prototypes on a high shelf when I’m not working on them). I decided to solve this problem once and for all and spent an evening designing and building a couple of simple breakout boards for my project, using Olivier Gillet’s breadboard friends as inspiration. The breakout boards work just as I had hoped. They sit really tight on top of the breadboards and the connections are 100% reliable. I also picked up on Olivier’s idea of using jumpers to set default connections – e.g. connecting the sleeve of the jack socket to ground and bridging tip and ring so that only a single wire is needed to incorporate the socket in a circuit in “mono mode”. This approach not only saves time but also reduces the number of wires in my prototype, making it easier to work with. I really recommend this approach, even for fairly simple prototypes: What worth doing is usually worth doing well – especially in engineering projects. You could use strip board for your own designs as long as the power rails on your breadboard match “standard” dimensions – this is not the case with all boards. 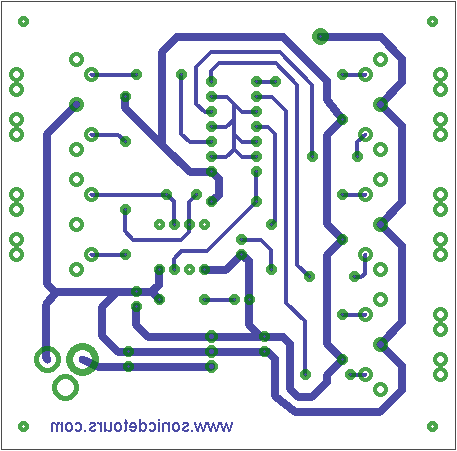 If you enjoy etching your own circuit boards like I do, that’s obviously the way to go – you can grab my Eagle files on GitHub and use them as a starting point for your own designs. I recently found myself in need of a MIDI thru box for my desktop synth setup and decided to build one from scratch. A MIDI thru box is a pretty simple device and at a total cost 15-20 euros for parts (including a home made circuit board), it’s a great choice if you are looking for a simple DIY electronics project. Complete schematics, circuit board layout and part list for this build are available under the Creative Commons license on GitHub. A bit of research revealed that most MIDI thru box designs posted online are strikingly similar. So after a brief stop at my local electronics store to pick up some parts, I quickly prototyped the circuit on a breadboard and settled on a design. Although the Hex Schmitt trigger I use can in fact drive 5 MIDI outputs, I chose to sacrifice one of them for an activity LED. Life is too short to troubleshoot MIDI connections, so this was an easy decision. If you have the need, another Hex Schmitt trigger could easy be added to the circuit for a total of 10 outputs (plus the activity LED). Next step was documenting the schematic in Eagle. I have been wanting to switch to KiCad for a while but this project was simple enough for the free version of Eagle, so I put off learning a new CAD package once again. With the schematic in place, I moved on to the circuit board layout. I opted for a single-layered design because it’s considerably easier and cheaper to make single-sided circuit boards on your own. Etching the circuit board is by far the trickiest part of the process if you haven’t done it before. 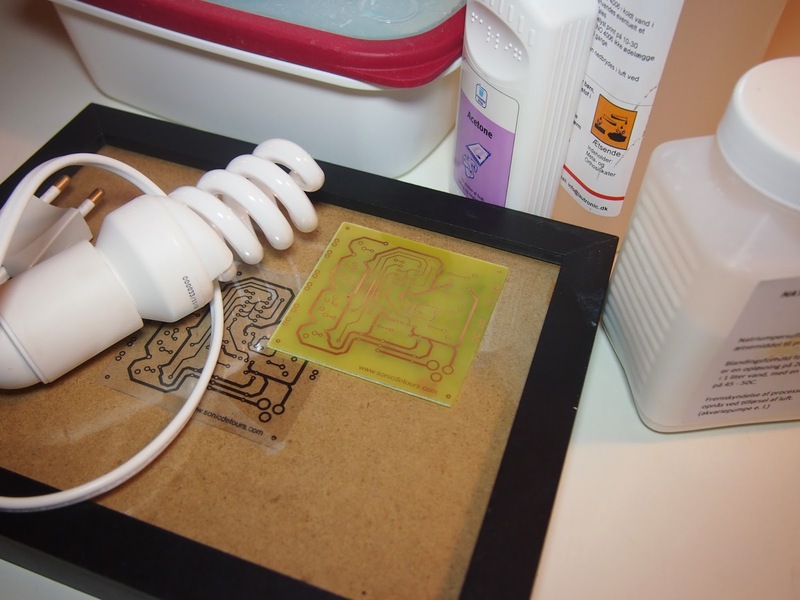 Unless you are willing to spend hundreds of euros on a specialized equipment such as an UV light box and an etching tank, you may find that quite a few failed attempts are needed before you get it right… but it can be done! Personally, I use the “photo resist” method with a regular 15 watt CFL bulb, a photo frame and a couple of plastic containers, all of which I picked up at IKEA for next to nothing. It took me an hour or so to make a near-perfect circuit board for this project, including holes for all the components and a makeshift silkscreen. 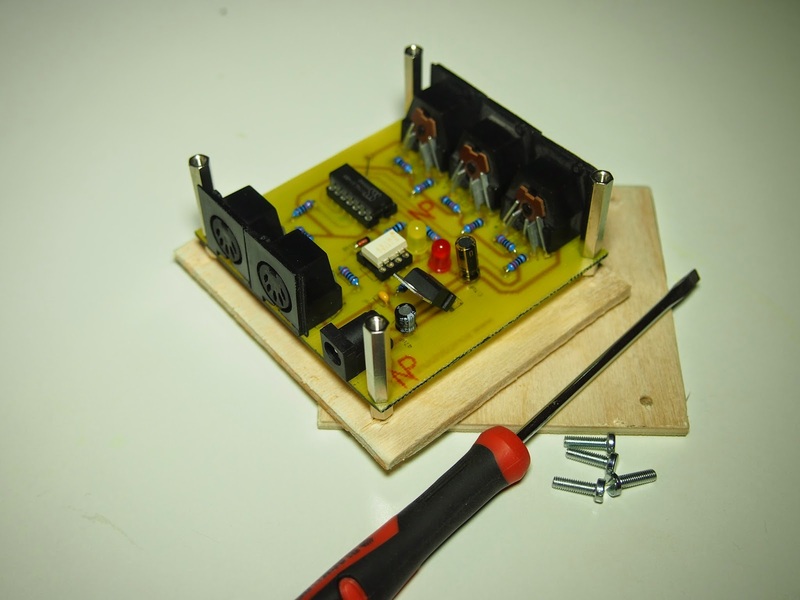 After completing the circuit board, populating and soldering the components was a simple matter. I like to build and test individual sections of the circuit in isolation, so I started with the voltage regulator, then moved on to the MIDI input (including activity LED) and finally completed the MIDI outputs one by one – testing each section carefully along the way. It may take a bit longer to do it this way, but it eliminates the frustration of having to sort out multiple issues at the same time, which I often find myself doing if I populate and solder an entire board in one go. Having built a working circuit, the only reaming task was to build an enclosure to protect it. I like to design pretty acrylic boxes for my DIY projects and have them manufactured by Ponoko, but since this box will be stowed away under my desk I opted for a more basic solution and simply cut two small pieces from a 3 mm plywood board I had lying around – one for the top and one for the bottom of the circuit board. If someone would like to contribute an acrylic box design to this project I would be happy to add the drawings to the GitHub repository. I have used the box for around 20 hours now and have not experienced any issues. There is no noticeable latency when playing notes and MIDI clock is tight. If you are a green DIY enthusiasts who have put together a few kits and are looking to take it to the next level, this project is a good choice. You could use stripboard but I really recommend that you bite the bullet and learn how to etch your own circuit boards. I find that using “proper” circuit boards helps me avoid mistakes and makes my builds much more enjoyable. Feel free to post a comment if you have questions or need help. I spent a couple of hours on the build which was a more than I anticipated. This was mainly due to the fact that the silkscreen was missing from the PCB, so I had to carefully place components as shown in the online guide diagrams, which was quite cumbersome and I did make a couple of mistakes (god I hate desoldering). Other than that the build was straight forward and I encountered no major problems. Everything worked the first time I popped in the battery and I didn’t even get to use my newly purchased multimeter. As for the Bleep Drum, I like the grungy sounds and the overall concept but the sequencer is really difficult to work with. The quantization is off somehow… can’t quite put my finger on the problem. I had a look at the source code but gave up when I still hadn’t located the relevant code after around 15 minutes… working with messy code is no fun and this is a hobby, after all. The MIDI implementation is very decent though and I had some fun controlling the Bleep Drum with a bunch of step sequencers in Reason. Although the Bleep Drum is a simple kit and in many ways an interesting little instrument, I was annoyed by the missing silkscreen and I think the bad quantization is a real deal breaker.